Each time I’ve visited Oaxaca, I have arrived with a list of places I have yet to try and places I want to return to. This year, Kyle from Cafe Brujula sent a list of new places to that I may find interesting and when I arrived in Oaxaca, the gang had even more restaurants to add to the list. With only 9 days Oaxaca, I knew again that I’d be leaving with a list of “yet to try’s” which will feed my desire to return to Oaxaca again. One restaurant that’s sat on my list for a few years now is La Teca. I remember mentioning it at the start of my visit last year to the gang and got an unenthusiastic response. It seemed they had been before and had not had the best meal there. Their reasons were numerous, but in a nutshell, they didn’t like sitting in what felt like a garage with no windows for dinner, they felt they weren’t guided well with recommendations from the restaurant and at the end of the day, these feelings coupled with the fact that the meal was very expensive (by Oaxacan standards) made it a place no one was longing to return to. At the end of last year’s trip, I asked both Chef Alejandro Ruiz and Chef Rodolfo Castellanos where in Oaxaca they thought I should eat. Both mentioned La Teca as a place to try if I hadn’t been before. You could tell that they held Señora Deyanira Aquino, the owner/cook of La Teca in high regard. I knew this year, I’d have to push the group to try to convince them of a return visit. 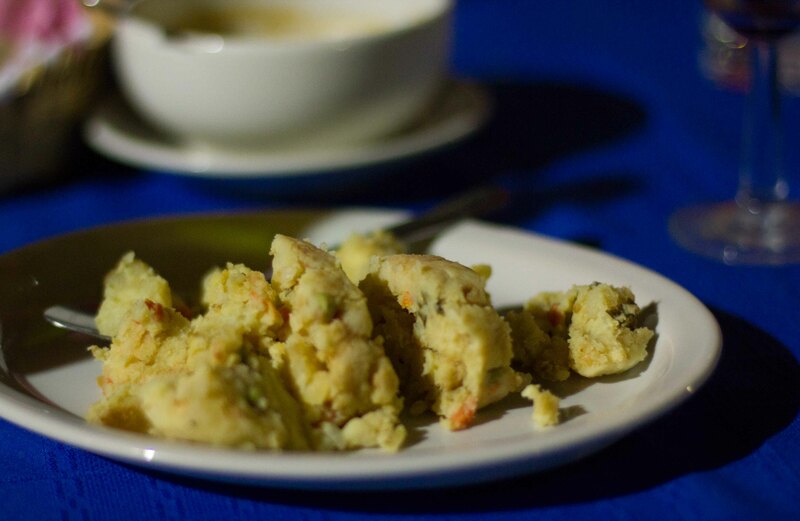 Luck would have it, there was some curiosity within the group to explore food from the Isthmus of Tehuantepec, which is exactly the cuisine at La Teca. 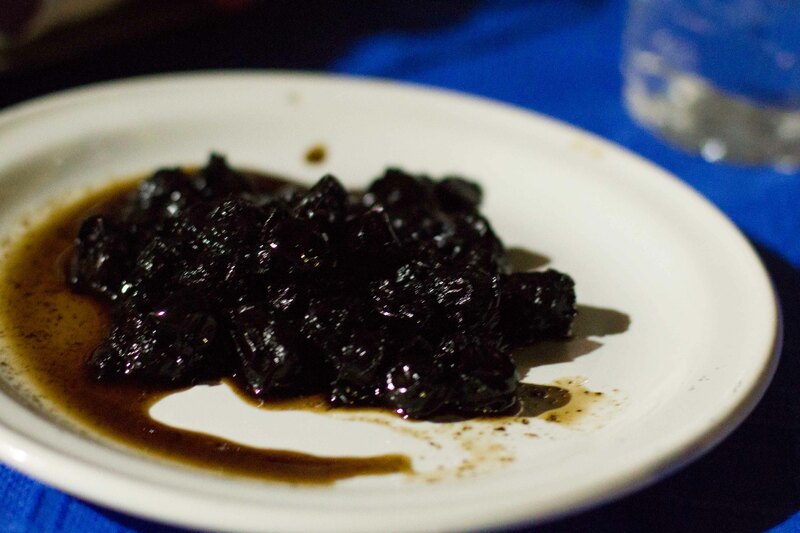 The Isthmus of Tehuantepec is the skinniest part of Mexico and includes parts of Oaxaca, the Chiapas and Veracruz. 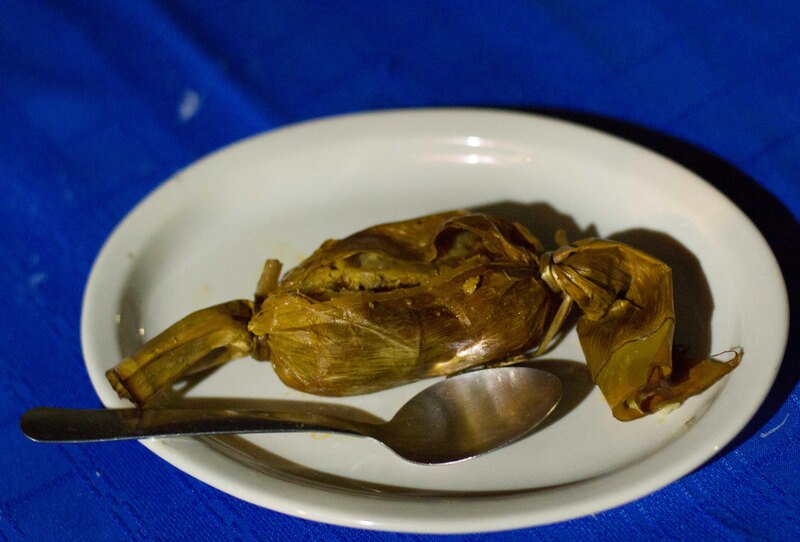 I had learned that while this cuisine had typical Oaxacan influences, there were definite differences as well. 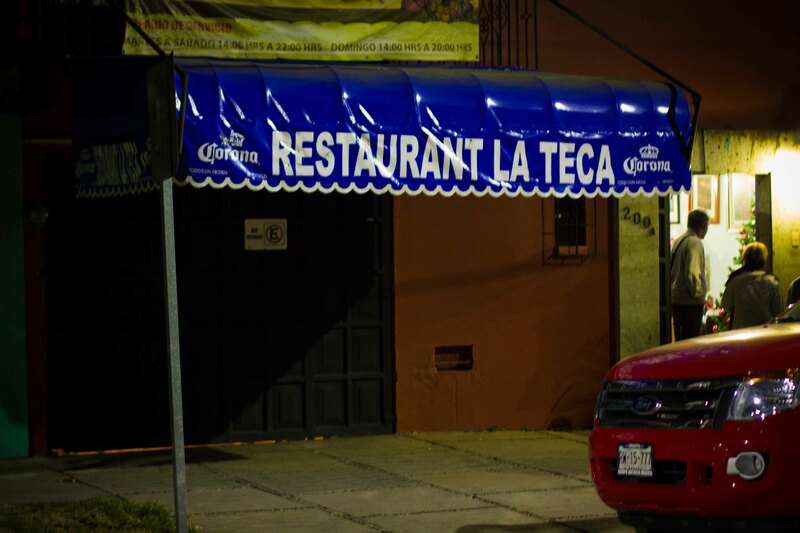 With the door open a crack, I decided that the best way to convince the group to give La Teca another chance was to have a chef they respected recommend it to them. I prodded Chef Rodolfo from Origen with a carefully crafted conversation regarding La Teca in front of the gang and he enthusiastically took the bite. To top it off, he provided us with a list of exactly what to order. With that information in hand, the gang was convinced that La Teca should be given another chance. We made reservations, (and may have dropped Chef Rodolfo’s name when we did) and took the short cab ride up into the Reforma neighbourhood for dinner. I was nervous on the ride up knowing that this meal we were about have had to “wow” in order change some of the minds of the group. La Teca is run out of Señora Deyanira Aquino’s home. On their last visit, the gang sat in the small and cramped garage which is the restaurant’s indoor dining space. On this visit, we were walked through the living room, where the family was setting up the Christmas tree, to a small outdoor patio. Surrounded by lush greenery and treated to fresh air as we were seated, I could already feel the group relaxing into the evening. We had brought our own bottle of Mexican wine we wanted to try and were happy to find there wouldn’t be a corkage for it. Good start… We stayed true to Chef Rodolfo’s list and ordered every item he recommended, (which turned out to be a lot of food). The lighting on the back patio was horrible, so you’ll have to excuse the poor quality of the photos. 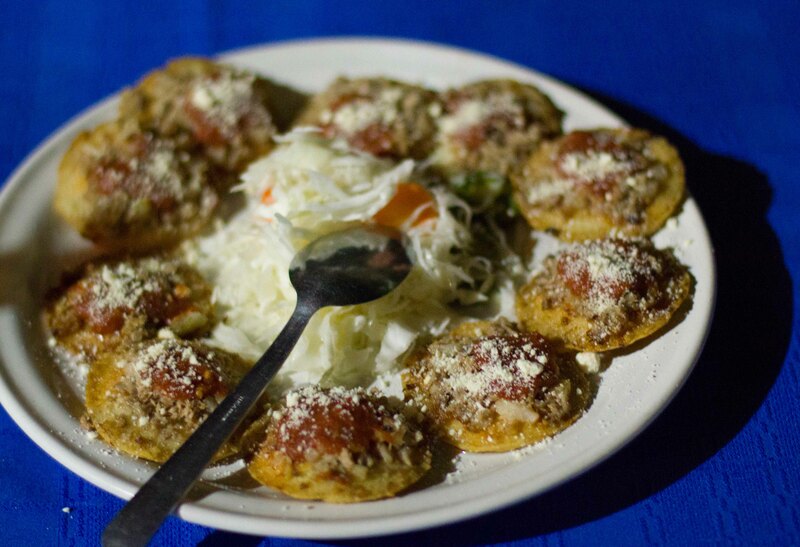 Garnachas – fried masa topped with ground meat. Tamalitos de cambray savory-sweet tamales with chicken, raisins, olives, almonds, and capers. 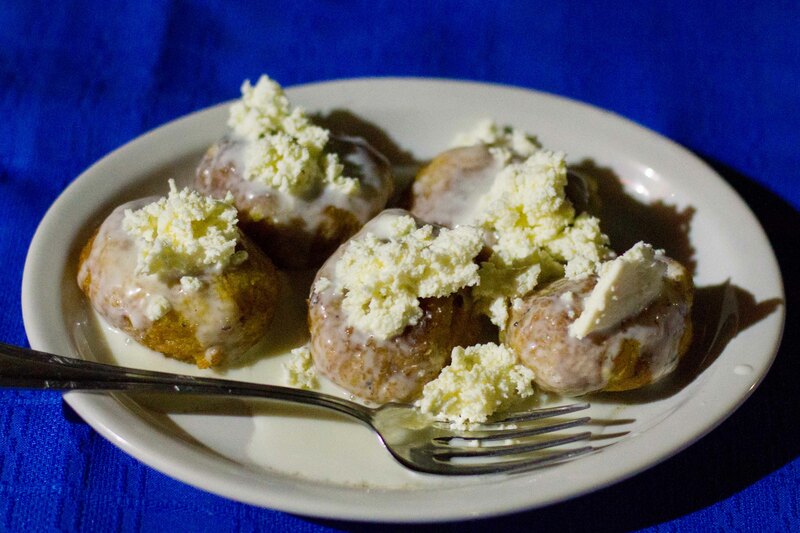 Molotes de Plátano Macho – small croquettes made from plantain and topped with crema de mesa and queso fresco. 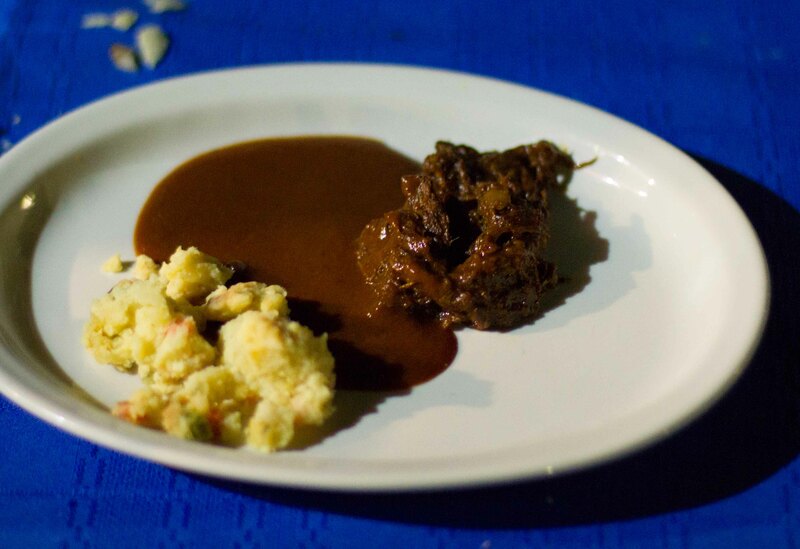 Estofado de bodas – a traditional Ishtmus wedding stew with beef, fruit and chiles. Purée de papa – Baked coarsely mashed potatoes. 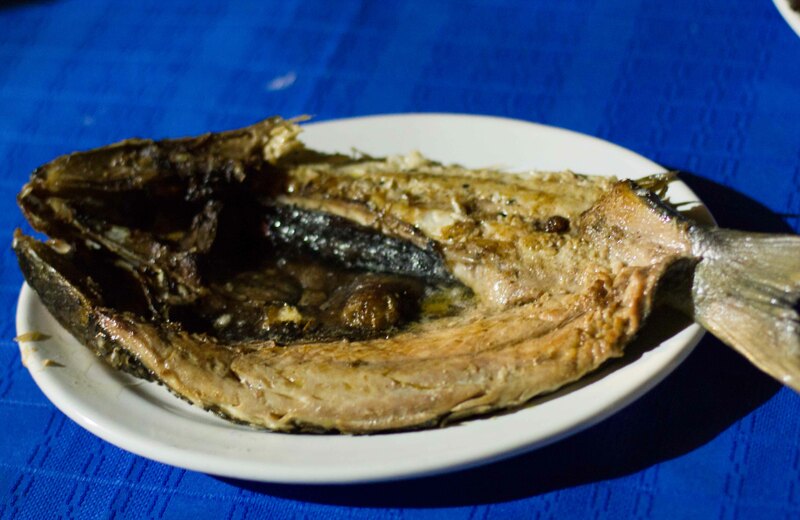 Chef Rodolfo recommended we order the fried fish he called Lisa. It was basically a split fish, fried simply and felt very Asian in its preparation. Served this way, you could really taste the flavour of the fish, which was delicious.